A potluck dinner, guest speaker, and farmer discussion group. A guest presents on the topic for about 20-30 minutes followed by group discussion. Please bring a dish to share and one to eat off of, if you can. This is a great opportunity for you to meet and learn from other farmers with operations similar to yours. We meet at 6:30 at the Cornell Cooperative Ext. offices, 615 Willow Ave., Ithaca. 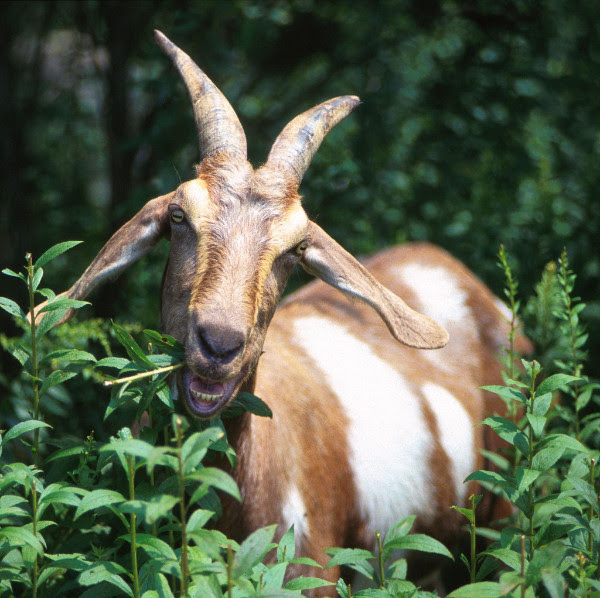 Thursday, Feb. 28: Livestock Handling with guest presenter Heather Birdsall, Livestock Educator with CCE-Cortland County. Proper livestock handling systems keep farmers and animals safe and make work on the farm easier. Heather will discuss different handling systems for cattle, small ruminants and swine, from purchased to homemade. Please email me by Feb. 25 if you plan to attend. 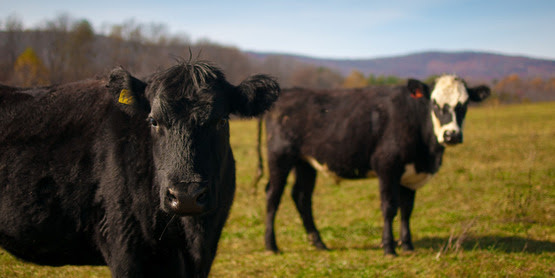 Wednesday, March 13: Solar Grazing with Lexie Hain, American Solar Grazing Association. Lexie will discuss her research and experience with solar grazing. Learn about this fascinating and exciting opportunity. Please email me by March 11 if attending. Wednesday, March 20, 6:30 PM at CCE-Tompkins: Tarping to reduce tillage in organic vegetables with Ryan Maher, Cornell Small Farms. Hear lessons learned from the latest research combining tarps with permanent beds, organic mulch, and cover crops. Come to share your experience, talk about how tarps are impacting your weeds, labor and soils, and discuss the best ways to be successful with less tillage. Please email Matt by March 18 if you plan to attend. Wednesday, April 3: Early Results from the Farmers’ Market Square Project with Matt LeRoux. I’ll present on what we learned after collecting detailed customer transaction data with 9 farms at markets this summer. Please email me by April 1 if attending. Thursday, April 11: Sexual Harassment Training Information Session: A new NY state law dictates that all employers must provide sexual harassment training for employees. Learn what is required and how to get it done from CCE-Tompkin’s Human Resources Manager, Krystal Kinney. Krystal will explain the law and answers questions. Please email me by Wednesday, April 9 if attending. If you plan to come, please let me know via phone or email at mnl28@cornell.edu or 607-272-2292, ext. 159. In conjunction with the New York State IPM Program and the Department of Agriculture and Markets, the Northeastern IPM Center will host a collection of webinars, titled "Spotted Lanternfly Basics." Saturday, March 2, 2019, 9:00 AM - 12:00 PM-Join Finger Lakes Museum & Aquarium and Cornell Cooperative Extension of Yates County as we welcome Charlotte Malmborg from the NYS Hemlock Initiative for a presentation about research updates and management of hemlock wooly adelgid (HWA). She will also be leading our hike, where you’ll have the opportunity for hands-on identification and observation of both hemlock trees and HWA. 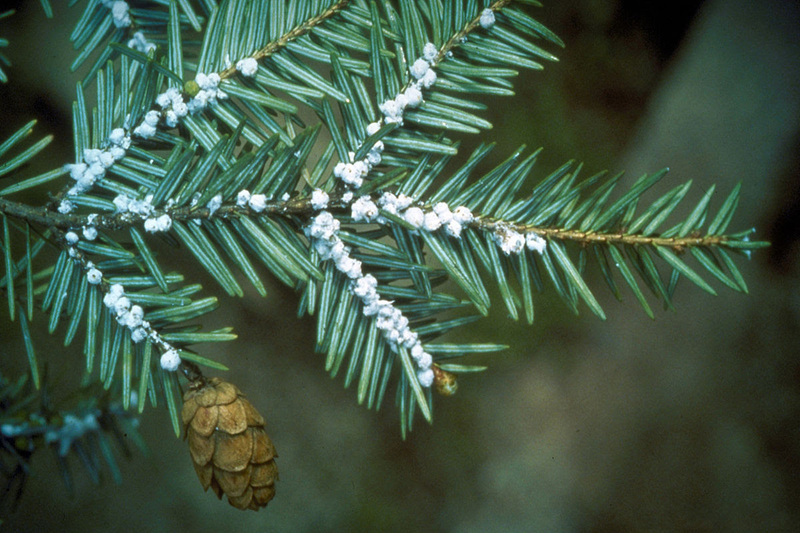 Please visit http://yates.cce.cornell.edu/events/2019/03/02/hemlock-woolly-adelgid-hwa-workshop-hike for more details. Tuesday, Mar. 5, 9-5, Hotel Ithaca. For farm and rural residents looking to attract visitors via events or farm stays as a source for added income.50 per person. Register via the Tompkins County CVB – Kendall Blizzard, 607-272-1313. Sponsored by CCETC and the County CVB. Tuesday, March 5, 2019 at the Cornell Cooperative Extension Office of Broome County located at 840 Upper Front Street, Binghamton. Registration starts at 9:30 a.m. The meeting will begin at 10:00 and conclude at 2:30 p.m. 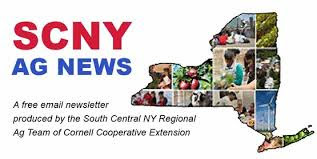 The Cornell Cooperative Extension South Central NY Dairy and Field Crops program will offer a meeting for 2.0 DEC pesticide recertification credits. Credits will be earned for pesticide applicator licenses in the categories of private field crops, fruit, vegetables, greenhouse and florist and nursery (21-25 and commercial Ag plant (1A). The workshop will address the following subjects:Climate Update: What difference does 20 make?, Getting new seedings off to a great start, Investigating health effect of glyphosate, Overview of crop insurance products for grain yield and revenue, 2018 Corn Silage Hybrid Trial Results, and an open discussion of agronomic and pest issues. Please call Shannon at 607-391-2662 or srm242@cornell.edu to pre-register for this workshop or visit our website calendar at https://scnydfc.cce.cornell.edu/event.php?id=834 . The cost is $15.For More Information Contact Janice Degni, Area Field Crops Specialist – 607-391-2672. March 5, 2019, 6:00 PM - 7:00 PM. Register online: https://reg.cce.cornell.edu/pheasants2019_245 or call (315) 539-9251. Registration is requested by Monday, March 4th. 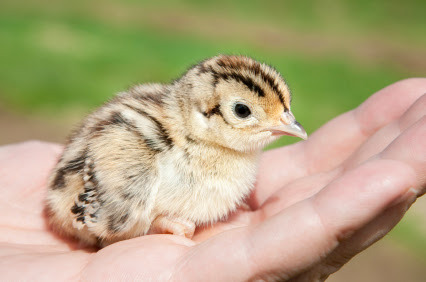 Learn how you can get free day old pheasant chicks to raise and release into the wild. Come to this workshop and learn from staff from the Richard E. Reynolds Game Farm as they explain how the program works and give tips and ideas on successfully raising the day old chicks. The staff will also answer questions and give insights on what is required to make this program work for you.Rearing pheasants is enjoyable and challenging and also a good teaching tool for youth. Releasing the pheasants offers fall hunting opportunities and pheasants are an enjoyable addition to a property. The cooperator program provides a means for youth and adults to learn about the husbandry and natural history of pheasants, with an incentive to expand areas open for public hunting and to improve habitat for grassland wildlife species. “Healthy Soils, Whole Farms” NOFA-NY, Inc is hosting our annual Dairy and Field Crop Conference. n March 6, 2019 at the Holiday Inn/Liverpool!Our presenters are Ray “The Soil Guy” Archuleta, Gabe Brown, and Francis Thicke! This is a one-day event! Please visit www.nofany.org for more information and to register. You can also call our office at (315) 988-4000 and get information or register over the phone. March 6, 6-9pm To Register: Click Here *How does a reluctant marketer manage social media for three different businesses? *How does a small-town pig farmer keep a local shop and farm while growing to wholesale regionally and nationally? *What marketing techniques can we use to communicate values as well as quality? *What specific programs are available on social media to help you get started?Join two local rock-star farmers Amanda David of Bramble, Rootwork Herbals and Heather Sandford co-owner of The Piggery will talk about their marketing techniques. This is panel is part of the Grow Your Farm Business Series. Designing a Safe and Sanitizable Packing Line. March 11, 2019- Location: 4-H Building, Chemung County Fairgrounds (171 Fairview Rd, Horseheads, NY 14845). Time: 6 – 8pm. Do you raise poultry? If so, please join us for this upcoming workshop on poultry disease. Dr. Jarra Jagne of the Avian Health Program with the Animal Health Diagnostic Center at Cornell University’s College of Veterinary Medicine will be joining us for this presentation. She will be going over diseases which you should be aware of and on the watch for in your flocks. 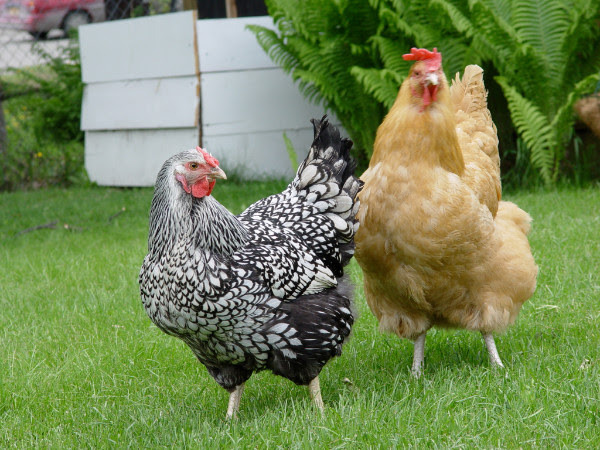 This class is open to all ages and poultry keepers of all sizes. Cost to attend is $5 per person. Youth 12 and under are welcome and free. Pre-registration is recommended in order to ensure enough seating, handouts, and food. For more information and to pre-register, please contact Shona Ort, Ag Educator with CCE Chemung, at 607-734-4453 ext 227 or sbo6@cornell.edu. Tuesday, March 12th, 6-8PM at the Human Services Complex in Montour Falls in room 120. This workshop traces the importance of nut trees to ecological and social development in the northeastern US from ancient times to visions of a sustainable future. Class is $20 and you must preregister by March 8th. About the guest speaker: Sam Bosco is a PhD student in the Horticulture Section of the School of Integrated Plant Science at Cornell University where he studies the agricultural, social, and cultural dynamics of nut tree-based agroforestry in NY. Thursday, March 14, 2019, 10:00 AM - 4:00 PM. Friday, March 15, 2019, 10:00 AM - 4:00 PM. 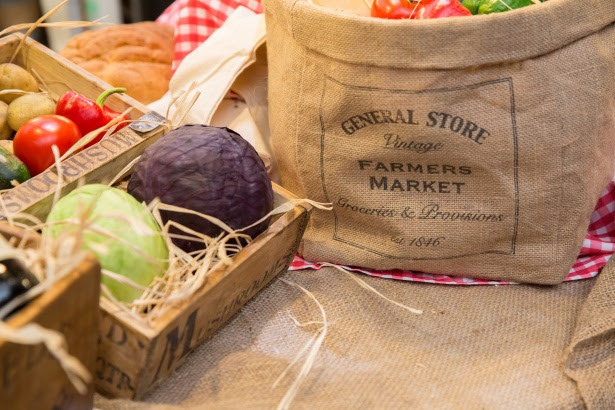 Ensure your success by joining us for 'Baskets to Pallets', a comprehensive two-day introduction to selling wholesale. 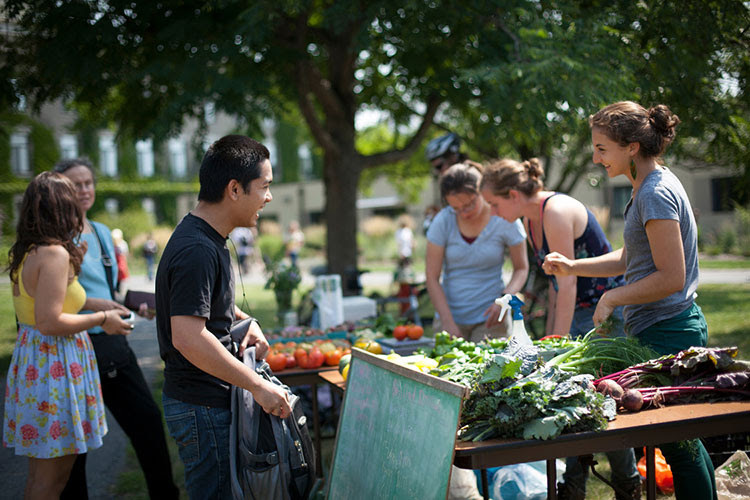 Are you looking to diversify sales beyond the farmers market, CSA and farm stand? Food hubs, grocery stores, schools and cooperatives are looking for your products to meet growing consumer demand for locally produced food. 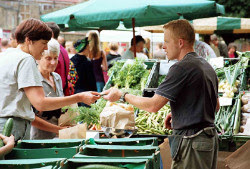 Yet, doing successful business with wholesale buyers requires planning and preparations. March 14, 2019, 7:00 AM - 4:00 PMThursday, March 14th at the Coltivare, 235 S. Cayuga Street, Ithaca join us for an informal kickoff to the 2019 landscape season! We've got great speakers this year - focused on the theme of "New Directions" in the industry. Needing some DEC credits? We've got 5 available through this event!Vendors - we expect even more than last year, so bring your questions & collect information with new and exciting folks to share their expertise.Located at Coltivare in Ithaca -we've got a beautiful space and tasty food! Tuesday, March 19, 2019, 6:00 PM - 7:00 PM EVERYONE WELCOME. Richard KennedyTerritory Manager from Cargill Feed and NutritionTopic-Sheep and Goat Nutrition 101. Rob Wilson. DVM from Perry Vet Clinic Topic-Parasites. RSVP By March 16th to Darleen Krisher-Meehan, Country Crossroads Feed and Seeds, at 607-478-8858. 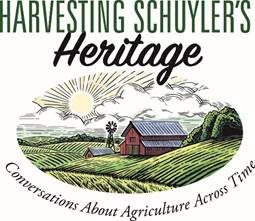 Harvesting Schuyler's Heritage series- Schuyler County's agricultural industries, past and present. March 21st- Cheesemaking. Join a free conversation with Carmella Hoffman and Heather O'Grady Evans and enjoy a cheese tasting. Held at Sunset View Creamery at 6pm. Please call Phil Cherry 607-535-7161 with questions. March 21, 2019; 2:00 – 3:00 PM. 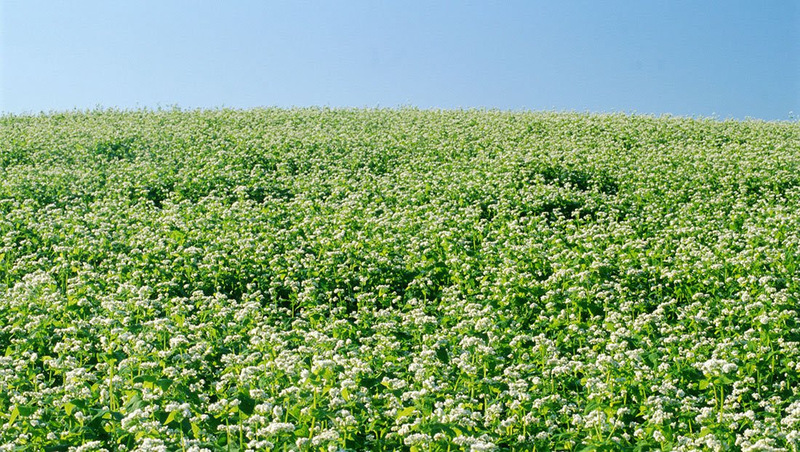 Starting your own seeds is a cost effective way to grow a greater variety of plants for your garden. Join Cornell Cooperative Extension of Chemung County to learn how to start seeds successfully. 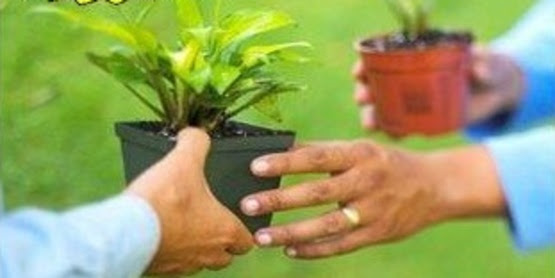 The topics we will cover include techniques for starting seeds indoors, proper care, lighting and watering, and how to prepare your seedlings for transplant.Speaker:Jingjing Yin, Horticulture Educator at CCE of Chemung County Chris Gagliardo, Chemung County Master Gardener. Place: CCE Chemung, Conference Room. 425 Pennsylvania Avenue, Elmira, NY. Workshop fee: Free, but a $3 suggested donation helps support our Horticulture program. Please register with Chemung CCE at 607-734-4453, or jy578@cornell.edu. March 23 and 24 we are sponsoring a pancake breakfasts at the Speedsville VFD from 8-11, all proceeds benefit the fire dept. We also have our sugarhouse open for tours, samples and sales from 10am-4pm. FREE family fun! The following weekend , March 30 we’ve partnered up with several local organizations for the 3rd annual Berkshire SAPpening! The Berkshire VFD will have a pancake breakfast 8-11. The SAP Run is a 1 mile family fun and fitness walk/run that starts at 9am. (Sponsored by the Northern Tioga Chamber of Commerce.) 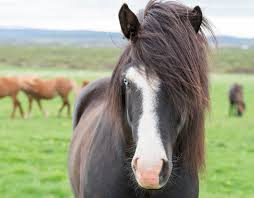 Rowdy, mascot from the Binghamton Rumble Ponies will be on hand to start the race and greet everyone. Registration info : www.northerntiogachamber.org. There is a Craft Fair at the Berkshire Community Center from 9am-3pm and the Berkshire Free Library will be open for Family Crafts and Storytime. 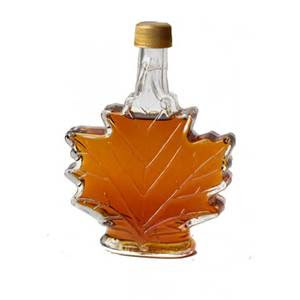 Sweetrees Maple Sugarhouse will be open again for tours, samples and sales from 10am-4pm both March 30 and March 31. Dress for the weather! FREE! 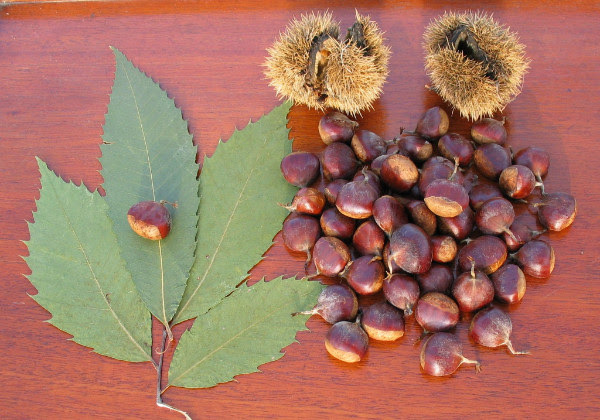 Restoration of the American Chestnut And Changes in Northeast Forest Species in the last 50 years Program-Saturday, March 23 12:30 pm – 2:30 pm Montour Falls Library, 406 Main Street, Montour Falls Vernon Coffey, Chestnut breeder and Database Manager for the American Chestnut Research and Restoration Project at SUNY College of Environmental Science and Forestry at Syracuse University will discuss the latest efforts to develop a blight tolerant American Chestnut tree. Regional Extension Forester Brett Chedzoy of Cornell Cooperative Extension of Schuyler County will also talk about the loss of other key tree species over the past fifty years and what this means for the future health and productivity of our woodlands.This program is free and open to all area residents interested in work to restore the American chestnut tree, an iconic and valuable cultural symbol, to the forest ecosystems of the eastern US and in changes happening to other Northeast forest species. For more information contact Elaine Dalrymple, edalrymple@schuylerswcd.org. Sponsored by the Schuyler County Water Quality Coordinating Committee in cooperation with Schuyler County Soil and Water Conservation District, SUNY -ESF American Chestnut Research and Restoration Project, the Southern Finger Lakes Chapter of the NY Forest Owners Association, Cornell Cooperative Extension of Schuyler County and the Montour Falls Library. March 23, 2019, 8:30 AM - 1:00 PM. 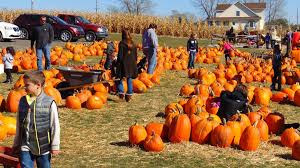 Held at Reisinger Apple Country at 2750 Apple Lane in Watkins Glen NY. 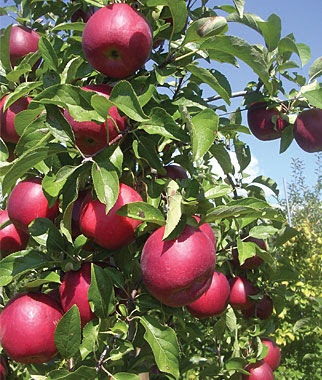 Spend the morning learning aboutgrowing apples, peaches, cherries, plums and pears. This workshop will also cover growing small fruits such as raspberries (black, yellow and red), blueberries and currants. 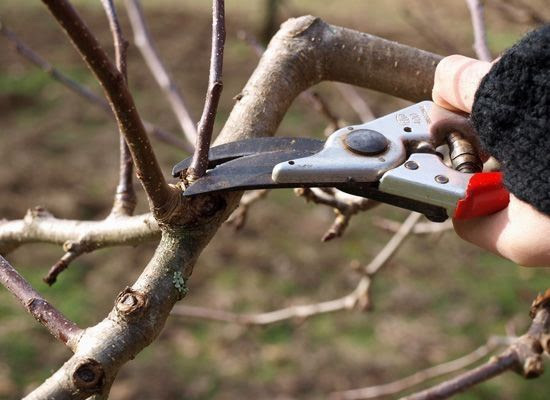 Highlights will include pruning, Insects, diseases, fertility, “critter control’ and netting blueberries. Please visit http://cceschuyler.org/events or call Roger Ort 607-535-7161 rlo28@cornell.edu. Tuesday, March 26, 2019, 8:00 AM - 5:00 PM and March 27, 2019, 8:30 AM - 12:00 PM. 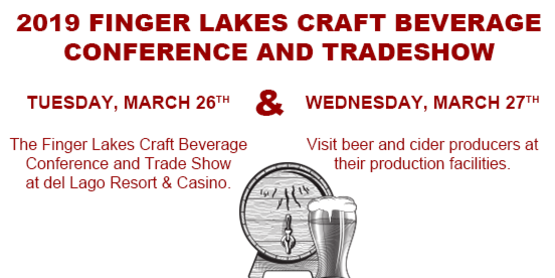 Learn about the region’s booming beer and cider industries, attend educational sessions with local craft beverage pros, and network with your industry peers at the region’s only craft beverage conference created specifically for breweries and hard cider producers. Saturday March 30th, 9:30am-noon at Arnot Forest. FREE for Veterans and Active Service Members/ $15 for general public. Join staff and educators from the Arnot Teaching & Research Forest as we explore this facility which is managed on behalf of the Department of Natural Resources at Cornell University by faculty and Cornell Cooperative Extension educators. We’ll start by visiting acreage which is currently being managed using sustainable forest management practices and how you can implement some into your woodlot. 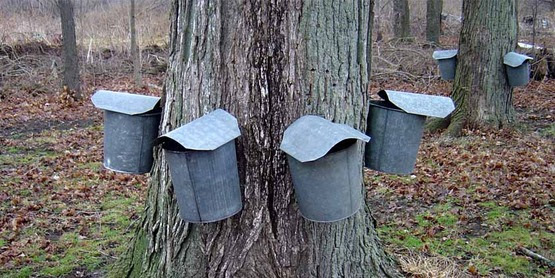 We’ll then move to their sugarbush operation with a tour of the sugarbush, sap collection system, sugarhouse and an overview of syrup production. Weather dependent, they may still be making syrup. Click here to register. This workshop will be held at Cornell's Arnot Forest, 611 County Rd 13, Van Etten, NY 14889. Groundswell Center for Local Food and Farming in Ithaca, NY is hiring two positions; Farming & Food Justice Program Coordinator OR Outreach & Communications Coordinator. Check it out! Please tell Your Friends! 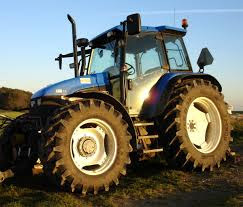 Agricultural Loans - $ 50,000 to $250,000. Term 5-15 years. Fixed at 75% of Prime rate at time of approval (Current rate 3.94%). Requires 10% cash equity, and collateral values at 120% of loan amount ( $50,000 loan requires securable assets ( equipment, real estate, cash) of $60,000). The following is the price list and tentative release dates for titles in the 2019 Cornell Guidelines series. 1 Last updated in 2014. United States Farming Practices Survey- Throughout the United States, farmers are using innovative approaches to sustainably produce crops and improve soil health. However, farmers are also faced with numerous challenges, and they are often not included in decision-making that affects the way they farm. Cornell University, University of California—Berkeley, and The Nature Conservancy are conducting a nationwide survey for all fruit, vegetable, grain, and field crop producers to identify the biggest challenges that farmers face, as well as the best solutions. Key findings from the survey will be published and communicated to grower organizations and other farmer advocates so that recommendations, actions, and outcomes reflect what growers identify as being most helpful for their operation. All responses will remain anonymous. If you choose to enter your e-mail address at the end of the survey, you will receive a summary report of the findings and you will be eligible for a chance to win $500. The survey takes about 30 minutes to complete.You can fill out the survey right now by clicking on this link:United States Farming Practices Survey Please also feel free to send to other growers and farmers for any crop! Don’t forget about the Compost Use for Improved Soil Poster Series – Please contact CWMI if you’d like full size posters printed for your use. School Composting – Let’s Get Growing A downloadable 16 page guide for student leaders and teachers. As educators, we have an important task ahead. The next generation of decision-makers is being educated in your classroom. How can you help? By starting this generation off with information and habits that emphasize reducing the amount of waste we produce, reusing, recycling and composting whatever we can, and incinerating, landfilling, and finding other technologies to dispose of the rest. 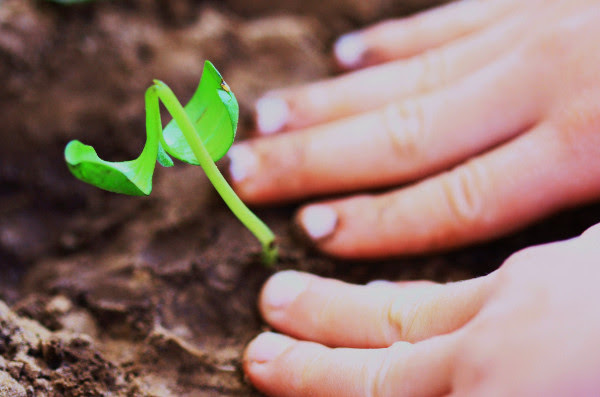 This document provides you with: (1) Ideas for incorporating composting into the curriculum. (2) Steps to take to start a school composting/diversion program. (3) Descriptions of successful school composting programs. CWMI has printed copies of this fact sheet. Please contact us if you’d like some mailed to you. Well managed forests produce timber and other forest products, provide wildlife habitat, recreational opportunities, aquifer and watershed protection, and other amenities. Non-industrial private woodlands comprise approximately 60% of the nation’s total forests. Providing tailored tax information is one way in which the Forest Service is working to increase forest productivity on non-industrial forest lands. For the latest tax information and tips regarding private woodlands, visit: www.timbertax.org.